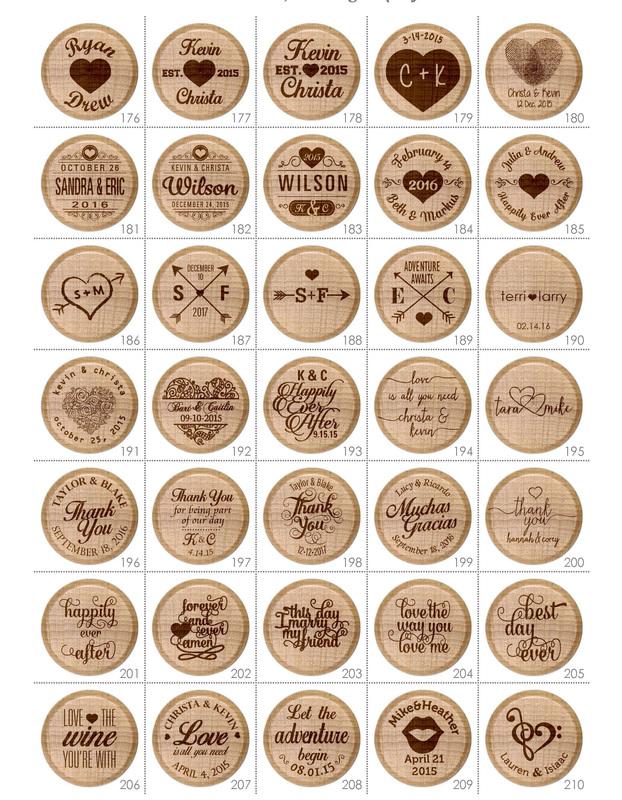 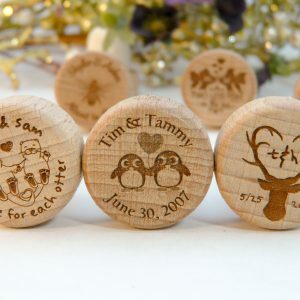 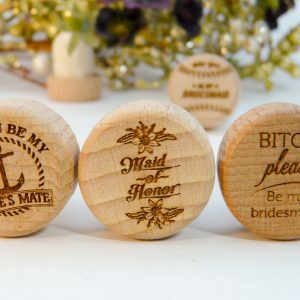 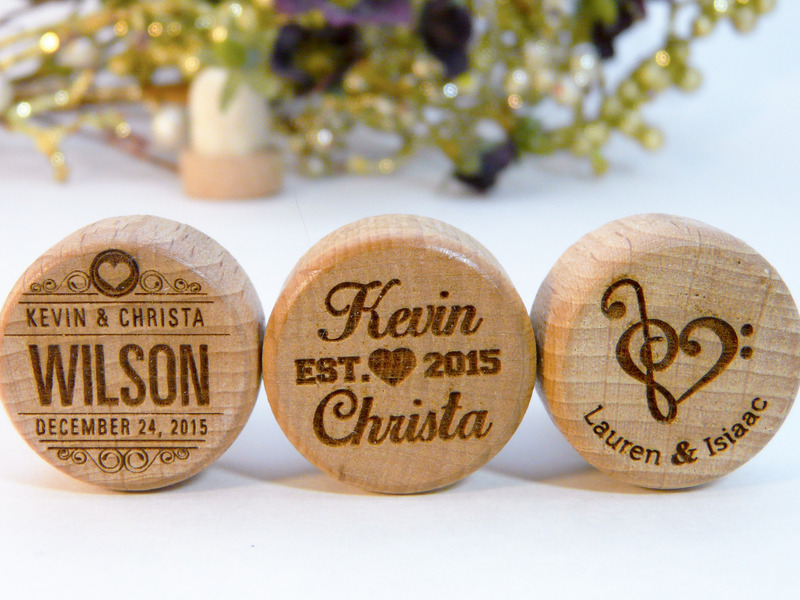 These gorgeous and affordable heart design personalized wine stoppers will make the perfect party favor whether you need anniversary party favors, personalized wedding souvenirs, or bridal shower favors. 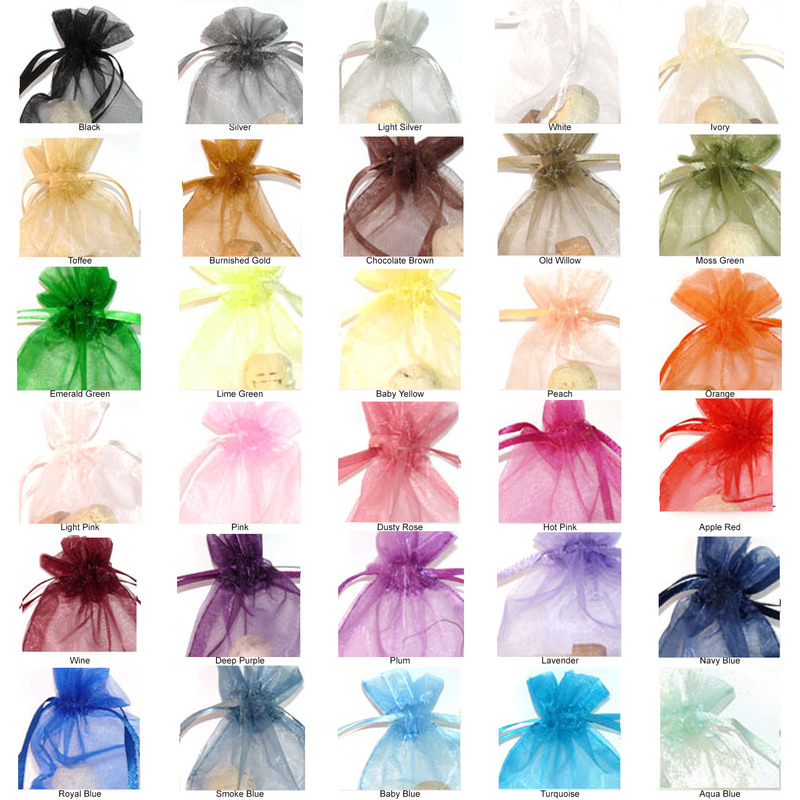 For just $0.15 each, add any color of organza bags and your stoppers will come pre-packaged to save you some time. 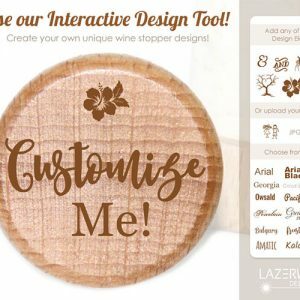 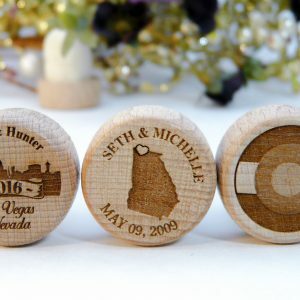 Be sure to include all personalization information necessary to complete your wine stopper design.